Shri Mahendra Nath was a monarch of whatever he surveyed. He was a great patriot, an eminent industrialist and educationist, a great visionary, a great institution builder and above all, a “karma yogi”. A light has gone out of our lives, leaving behind a void and a lot of memories. Born in a humble middle class family, Shri Mahendra Nath learnt that honesty and hard work lead to success. Very early in his life, through the example of his father who was a medical practitioner and follower of Swami Dayanand Saraswati, he imbibed the virtues of strong determination, tenacity, hard work and care for the weaker sections of the society. Shri Mahendra Nath began his career in business as an insurance agent in Meerut. Due to his pleasing personality and knack for cultivating relationships he tasted success instantaneously. Over the next few years of his life he expanded his interests to the exhibition and distribution of films, publishing, trading and finally went on to establish one of the largest high tension power transmission companies in India. He travelled widely and cultivated strong relationships with not only businessmen but also people from all walks of life wherever he worked. 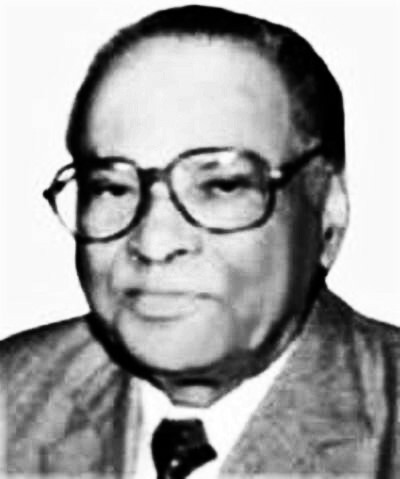 Shri Mahendra Nath acquired a great name and reputation for his sharp business acumen, despite lack of any formal managerial qualification or training as an accountant, engineer or a scientist. He was blessed with strong analytical skills and had a deep understanding of business practices and trends, along with immense capacity for hard work with ingenuity and determination to succeed. Shri Mahendra Nath created a trust named “Dr K. Nath Public Trust” which created and nurtured various institutions of vocational, professional and higher learning. The trust has been running libraries and helps the poor students to undertake higher education at a large number of institutions including Indian Institutes of Technology and Indian Institutes of Management. The trust also established Institute of Management Technology (IMT), Ghaziabad under the aegis of Lajpat Rai Educational Society in the year 1980 with the objective to provide high quality management education in India. The institution currently ranks among the best institutions providing management education in the country. Due to his belief in humanity and faith in the Almighty he achieved remarkable success in his life. He showed to us what Walter E. Cole said “If we are to achieve we must look for the opportunity in every difficulty instead of the difficulty in every opportunity”.